The agent of Badelj confirmed that the Croatian midfielder will likely leave Fiorentina during the summer "His contract expires in June 2018, so I think there is a good chance he leaves Fiorrentina. We didn't get in touch with any other club until now anyway". Where would he go? I can't picture any of the better clubs wanting him. He is in that place where he is very good for us, but not good enough to go to bigger clubs. It seems like we going to use an option for Cristoforo, Carlos Sancez and Olivera. There is the agreement with Genoa CFC so we are close to Giovanni Simeone joining Fiorentina for 20 million euros + bonus. Giovanni Simeone had a very good start of the season with Genoa till the game with Fiorentina in January (a brace for him) then his performances were affected by the crisis of results of Genoa but he found the way to score two crucial goals to Lazio and Torino near the end of the season anyway. Twelve goals in the past serie A season for him. Borja Valero's speech to some supporters was recorded in which he cries and pretends he would stay because he loves Florence, but the management wants him to leave, so he will leave. Fiorentina are looking set to land Giovanni Simeone after Italian Media (La Gazzetta dello Sport) revealed that they are in advanced negotiations with Genoa ahead of a potential move. The Argentina international has joined Genoa from River Plate for a fee in the region of 5 million euros in August 2016. Adding a striker remains Fiorentina’s top priority this summer and Stefano Pioli will have drafted a shortlist of a number of possible targets he could approach in the coming days. "Bernardeschi rejected the renewal of the contract in spite of our rich offer. Will he go to Juventus? Let's see what we can do. Kalinic? I will be sincere: Milan made me an offer I refused. I told them we want to keep him. Borja Valero to Inter? We have been sincere and honest to him and all the other players we don't consider for sale. We want players who are happy and have the right motivations for staying with us. I listen to everyone. The agent of Boja Valero brought me an offer of Inter and told me Borja Valero wants to move to Inter. Ausilio called me 10 days ago and told me that Borja Valero and his agent want to move to Inter. Tomorrow I want to talk to Borja Valero and know from him whether it's true that he wants to move to Inter. What Borja Valero said is a matter for a our lawyers, I'm not going to talk about it. 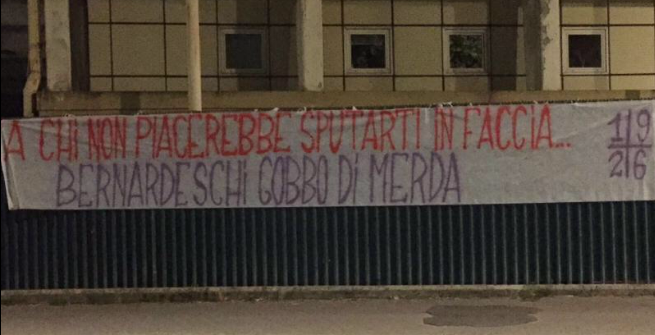 A message to the supporters of Fiorentina? We want to restart with players who are happy and motivated"
Kalinic: "thank you, Fiorentina, but it's over. I want to go to Milan"
I wonder why did Fiorentina let Ilicic go for only 5.5M€? His estimated value is still around 10M. because his contract expired in 2018 and the risk was that he could leave on free in one year (and be indolent in the meanwhile). The club should have renewed his contract before reaching this situation, that means one year ago at least, but probably didn't trust him enough to do it. No one blames him because every supporter is busy blaming Andrea Della Valle, but Borja Valero is eager to leave for Inter. Fiorentina want 8 million euros, Inter want to pay 5. As usual the deal will be done for an amount of money in the middle. ADL expressed his interest in Federico Chiesa but I doubt the management of Fiorentina will go that far with sales! i don't know, but Valero was already talked to viola fans that he wanted to stay but the club tended to sell him. He is not even brave enough to tell the supporters he wants to leave for money/glory. Not that I blame him, supporters believe whatever a player tells them and telling them the wrong thing might be dangerous. Anyway, Fiorentina have signed or are close to sign the trequartista of Nice, Valentin Eysseric . Eysseric had an excellent season, like all the équipe niçoise, but the risk that he is a one-season wonder is high. Last edited by ToniSamp; July 10th, 2017 at 12:27. And he is gone. The fee mentioned is either 5.5M or 7M. I don't know which one to believe in. This is the football world we live in right now, and I hate it! Vecino to Inter? They are deconstructing our midfield. The DV's jumping the ship? They made it what we became lately, a CL contender. I don't blame them. I blame Paolo Sousa, that man has no soul. Fiorentina have announced they have defined the purchase of promising goalkeeper (2001), Federico Brancolini. http://instantseriea.com - The latest Serie A and Italian football news, features, blogs, tactics and podcasts. Everything you need to keep up with calcio. Great news!!! The new Donnarumma! Can't blame Astori and the others for their disappoinment. But there's still some time though.